Keeping your kids entertained on your wedding day. One thing that some couples getting married don’t always think about is how to keep your kids entertained so that you can enjoy your wedding, and they can be happy too. Your wedding day can be stressful enough without having to keep your kids focused for photographs, seeing family, being quiet during dinner, etc… The thing that some couples forget is that kids need to be active and entertained so making them sit in a room while Mom has her makeup done and Dad is calming down with his friends isn’t always the best solution. Here are some ideas you can use to help keep your kids entertained and happy so that family photos and wedding reception speeches aren’t interrupted. 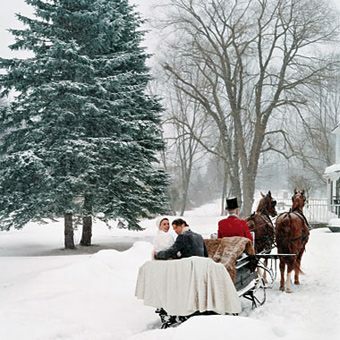 Here are a few ideas if you are planning a Winter Wedding. When scouting a Venue think of some cozy options such as Inn’s with a fireplace for warm Winter Wedding or a Historic Mansion with a Great Room and again a fireplace. A distinguished Winter ice breaker is to set up a central Fondue Appetizer course at each of your tables to get your Guests talking. As your Guests arrive, Offer them warm Mulled Wine or Hot Chocolate, brandy optional! 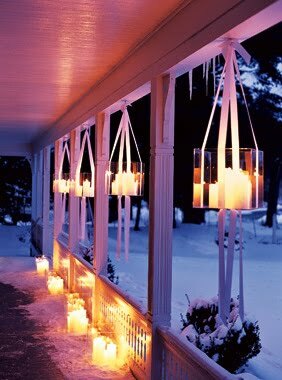 For a Winter Wonderland Wedding Theme, use Silvers, Ice Whites and pale Blue and use lots of twinkling candles and strands of fairy lights. For a fun Centre piece place a pre-made and decorate Gingerbread House on each Guest Table. You could decorate the Reception with miniature and/or life-size Christmas trees. Ideas to Reduce Your Wedding Catering Bill!